Join us sightseeing in Singapore on this Footsteps of Raffles tour. The tour starts where it all began – at Raffles Landing Site – where Sir Stamford Raffles is believed to have first stepped ashore in 1819. We then explore an exhibition that traces the history of the Singapore River. 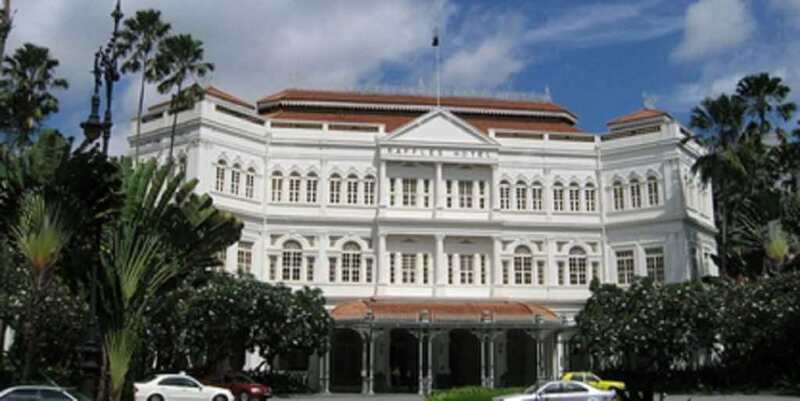 Next stop is Raffles Hotel Singapore, a famed haunt of high-society since the 1800s. Here we enjoy Raffles Hotel afternoon tea with English and local delicacies. After your afternoon tea at Raffles Hotel, we board a Bumboat and cruise along the historic Singapore River and disembark at Clarke Quay. Here you will visit a Pewter Gallery to discover the history of pewter and role of tin in the development of Singapore as a trading port. PLEASE NOTE: From July 2017, Raffles Hotel is undergoing a programme of refurbishment works and this optional excursion will not be available until the work is finished. Note: Dress code for Raffles: smart casual. Gentlemen should wear shirts or collared t-shirts, paired with appropriate long trousers. Ladies should wear dresses, skirts or trousers. Vests, shorts and flip flops are not permitted. Drinks not included.